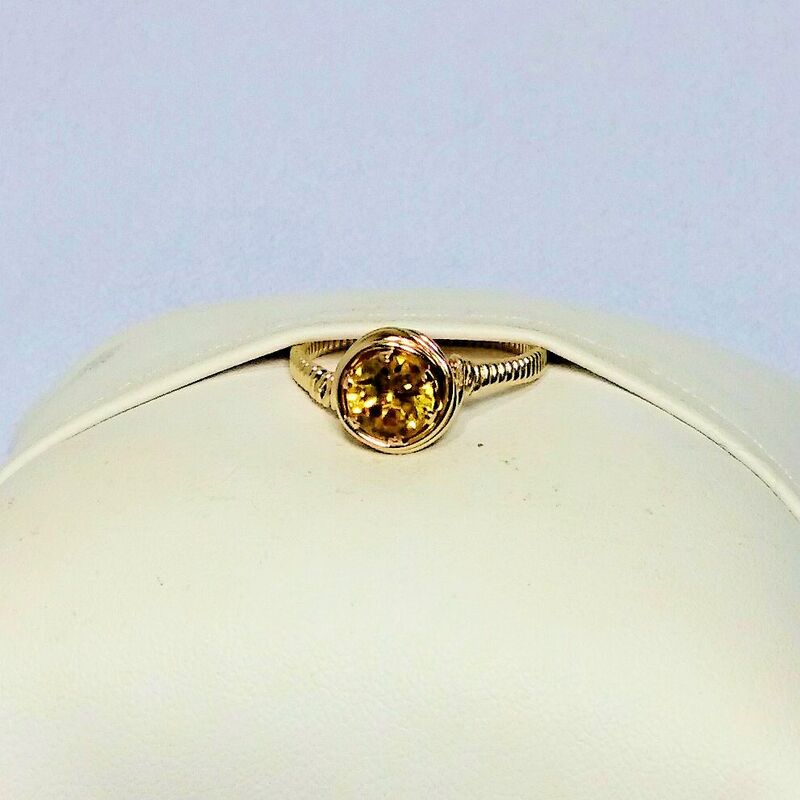 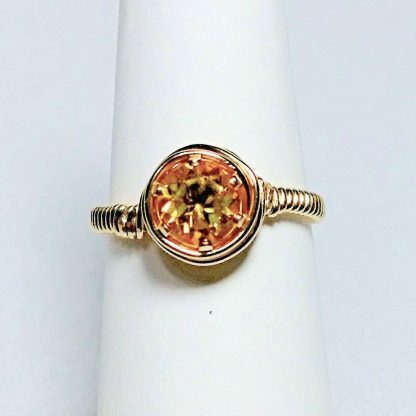 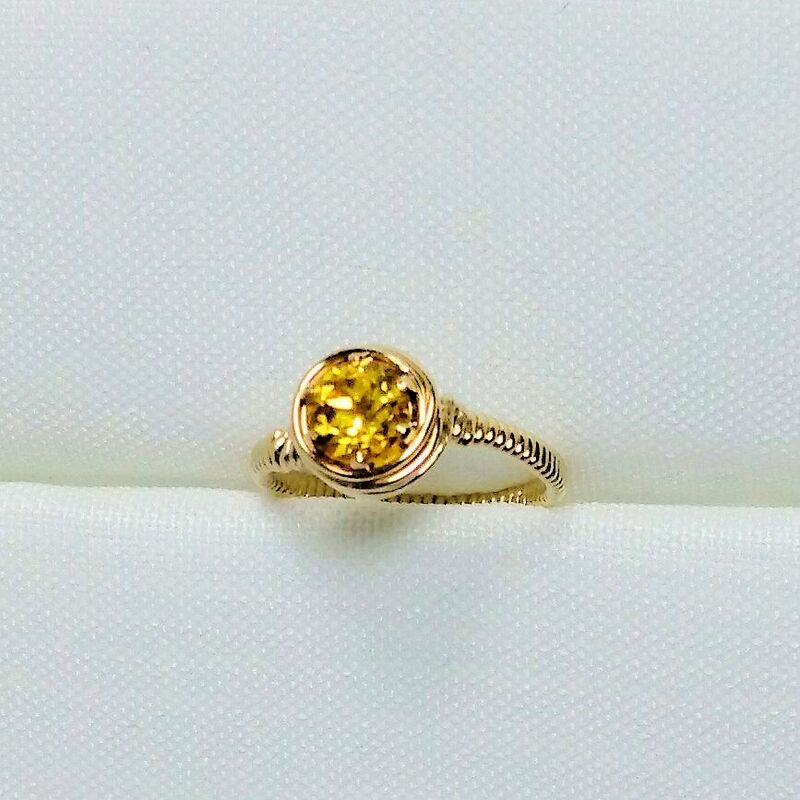 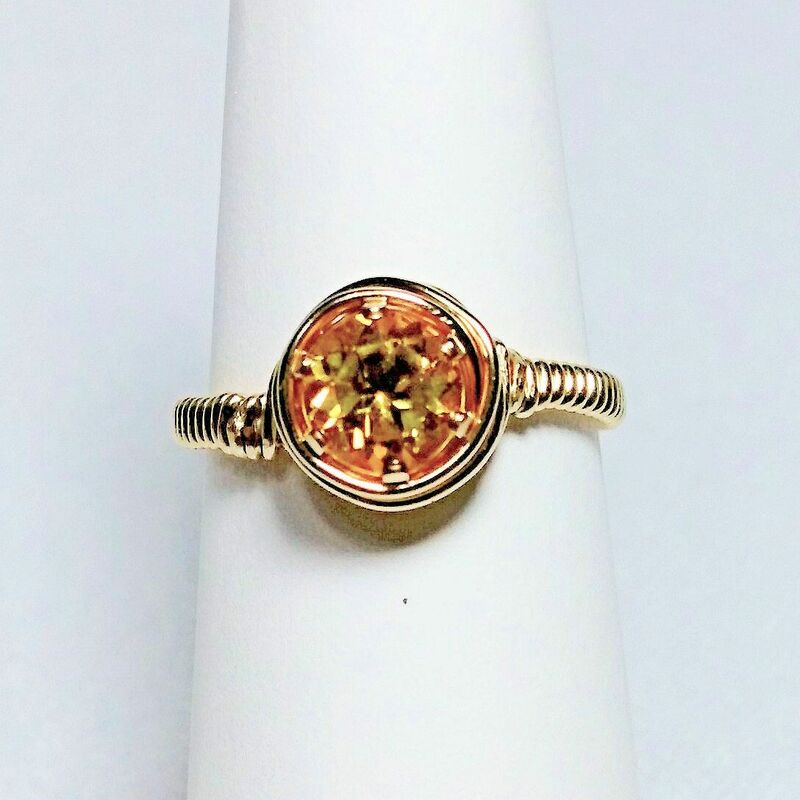 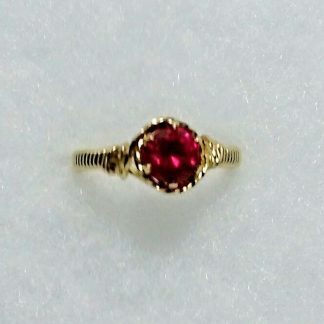 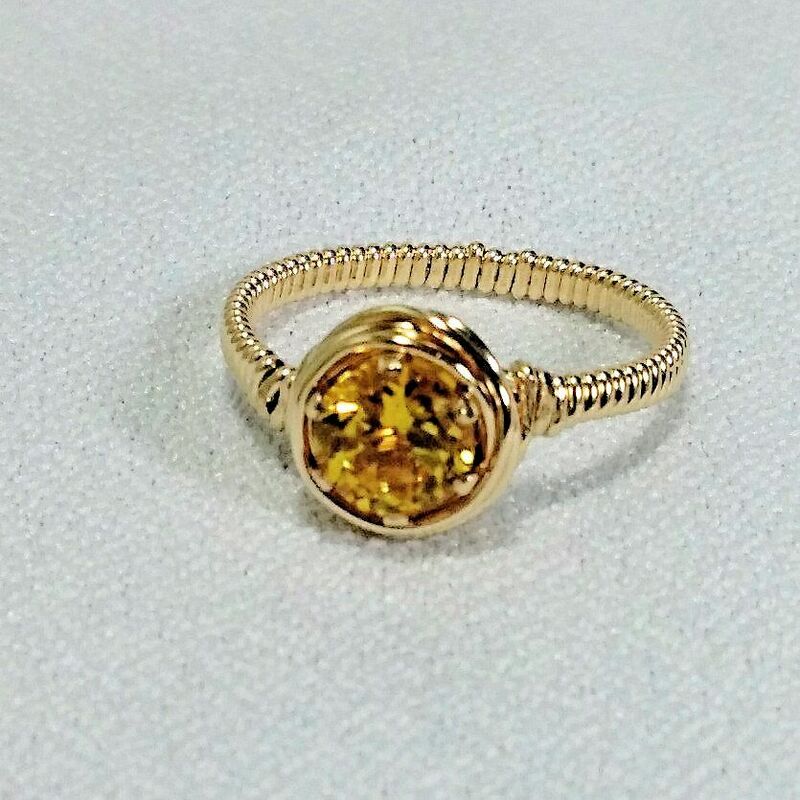 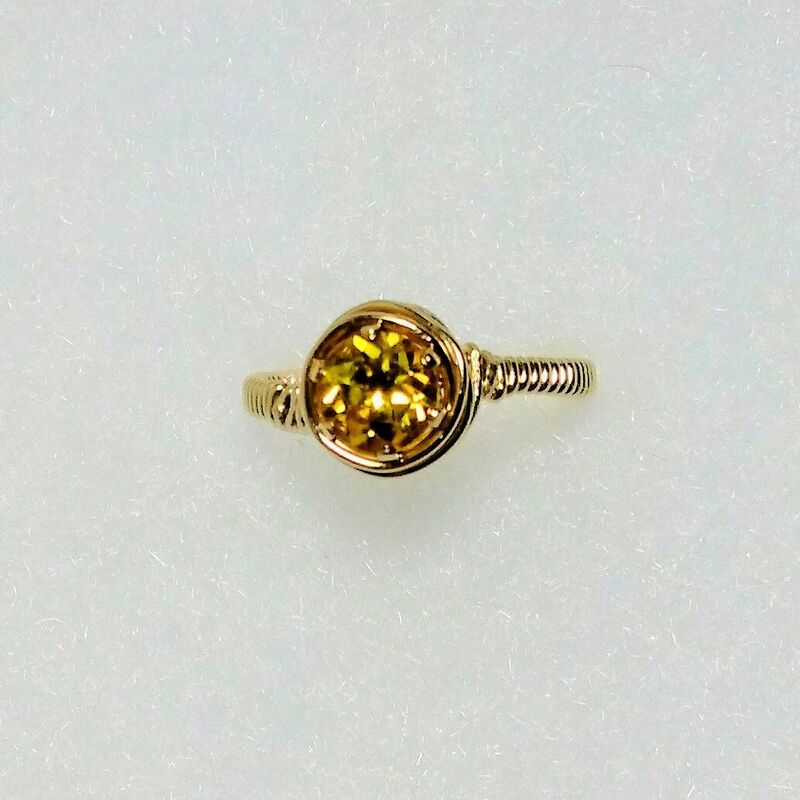 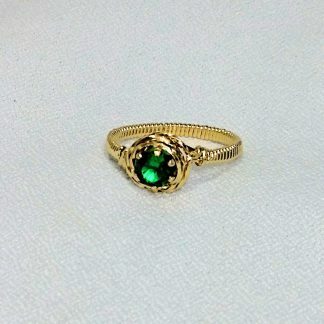 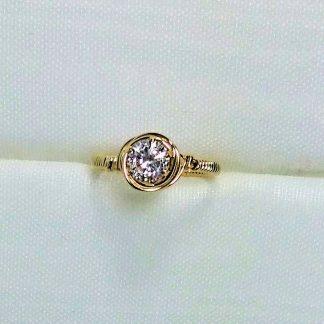 This handmade birthstone ring is wire wrapped in 14/20 Gold Filled wire. 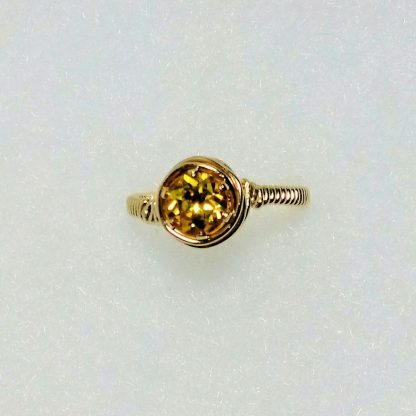 The stone is a lab grown faceted Topaz set in a 14/20 Gold Filled snap-set. 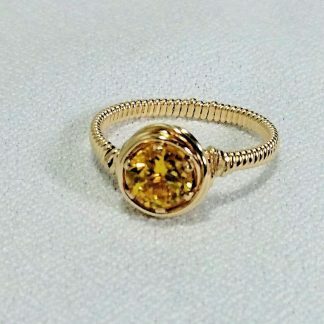 The ring wire is 14/20 Gold Filled and the band is wrapped in 14/20 Gold Filled half round wire. Topaz is the stone for September. 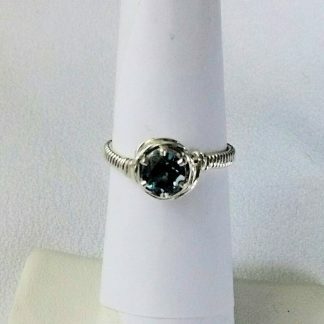 The size on this ring is size 6. 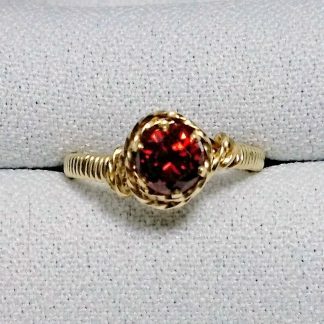 This ring can be made in another size by request.